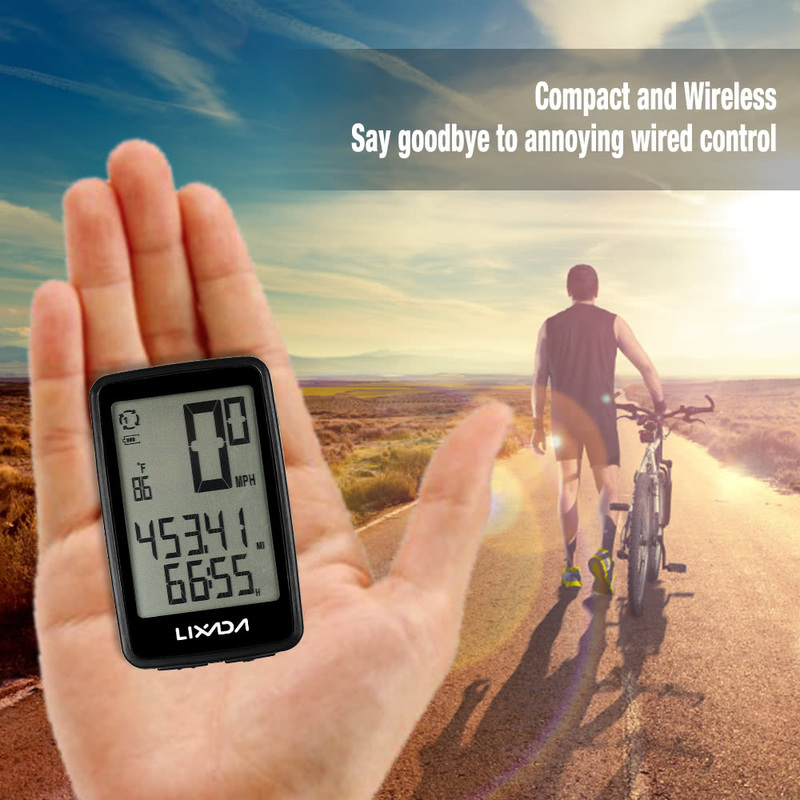 This multifunctional wireless cycling computer with 14 functions can track your riding distance, time, speed and has many other functions like 7 days data memory and 2 users data recording, etc. It is really a useful cycling computer to meet your various needs. 10 Functions: Wireless bicycle computer displays Riding speed/time/distance, Average speed, Maximum speed, Total riding time/distance, Temperature, 7 days data memory, 2 users data recording (Bike 1/ Bike 2). 3 Extra Features: include 12h / 24h clock, metric/imperial unit, auto ON/OFF. Backlight: Large LCD display with backlight allows you to read all riding data easily and clearly. Easy to Operate: 2 smart buttons for easy operation. Convenient: Small size, lightweight and wireless design makes it more convenient.